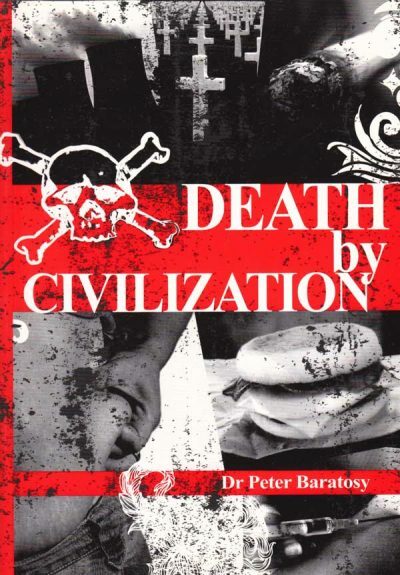 PETER BARATOSY graduated in orthodox medicine from the University of Adelaide in 1979. Once he entered General Practice in 1985 he became increasingly disillusioned with concept of ‘modern medicine’, and started to seek out alternatives. He studied various modalities including Acupuncture, Homoeopathy and Hypnotherapy. These modalities and others he has incorporated into his practice. 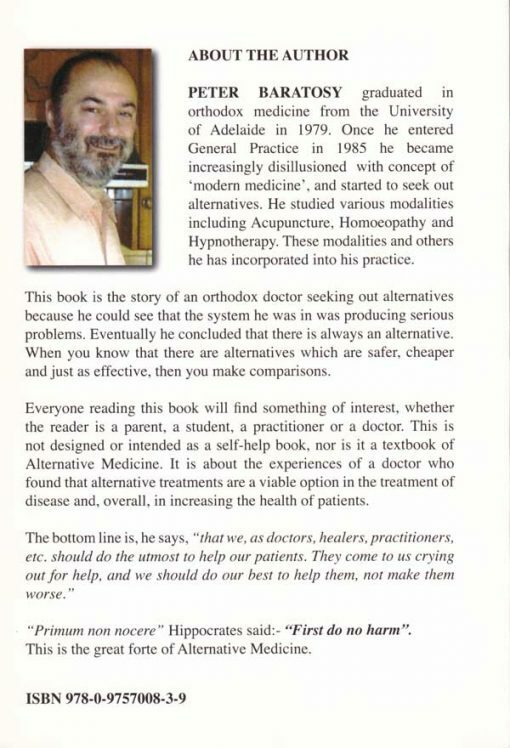 This book is the story of an orthodox doctor seeking out alternatives because he could see that the system he was in was producing serious problems. Eventually he concluded that there is always an alternative. When you know that there are alternatives which are safer, cheaper and just as effective, then you make comparisons. Everyone reading this book will find something of interest, whether the reader is a parent, a student, a practitioner or a doctor. 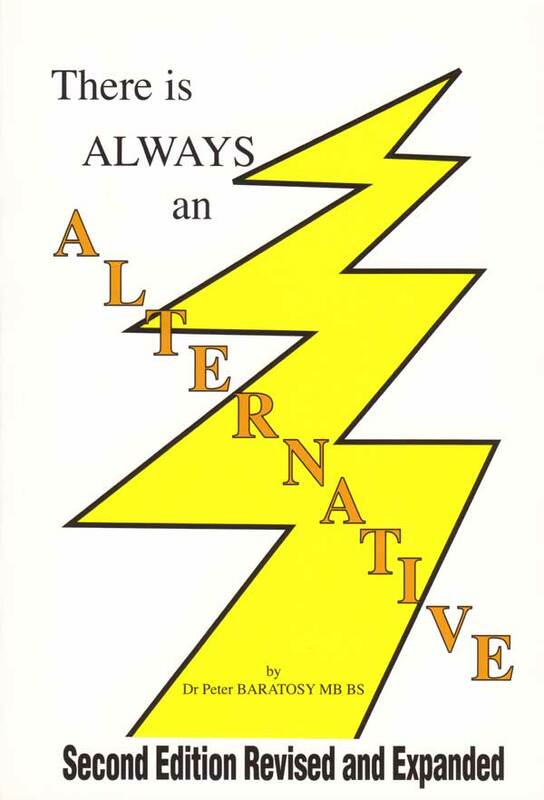 This is not designed or intended as a self-help book, nor is it a textbook of Alternative Medicine. It is about the experiences of a doctor who found that alternative treatments are a viable option in the treatment of disease and, overall, in increasing the health of patients. The bottom line is, he says, “that we, as doctors, healers, practitioners, etc. should do the utmost to help our patients. They come to us crying out for help, and we should do our best to help them, not make them worse. “Primum non nocere” Hippocrates said:- “First do no harm”. This is the great forte of Alternative Medicine. I have not read this book since I wrote it over ten years ago and on re-reading it for the purpose of revising and expanding it, I was quite surprised how good it was, considering it was my first attempt at writing a book. I sometimes do surprise myself! There was very little that I had to revise; if you have read the first edition, you will see that I have removed some things, though I have added much more! Anything I have removed is not necessarily because it was wrong but because I have changed, my life, my ideas and my practice have changed. My knowledge has also greatly increased in the last 10 years and much of that has been reflected in this new edition. At the time of writing the fIrst edition, I relied more on modalities such as acupuncture and homeopathy…. I still use them but now my primary emphasis is on a combined approach, using nutritional medicine, life-style changes as well as the techniques I describe in this book. I believe the best approach is the use of “natural” medicine: lifestyle, diet, nutrition and natural therapies. That is what I consider real medicine. Some have referred to the natural approach as “complementary” medicine ….. as if the natural approach complements the sanctioned modem, drug, surgery approach. Modem medicine should be called “complementary medicine” because I believe it is complementary to the natural, preventative approach, and not the other way around. The natural, preventative approach is the best means of dealing with health problems. In spite of what I have just said, modem medicine cannot be totally dismissed …. .it does have a place; I believe its main usefulness is possibly only as a last resort and in life and death situations. I have become even more critical and disillusioned with multinational drug companies, especially with regards to their treatment of chronic and pre-morbid illness: they have hijacked the practice of medicine. I think they are in it more for the money than for the benefIt of humankind. Health promotion with changes in life-style and nutrition is the best approach. We should focus on health; prevention is the best policy; not wait till sickness develops. I will attempt to keep the character of the book in the same style as the original, though I did decide to add some pictures. I will use the same case histories and where appropriate add updated information. This book is semi-autobiographical as it follows my journey of discovery that there is always an alternative. Since writing the first edition of this book, I have written four other books. 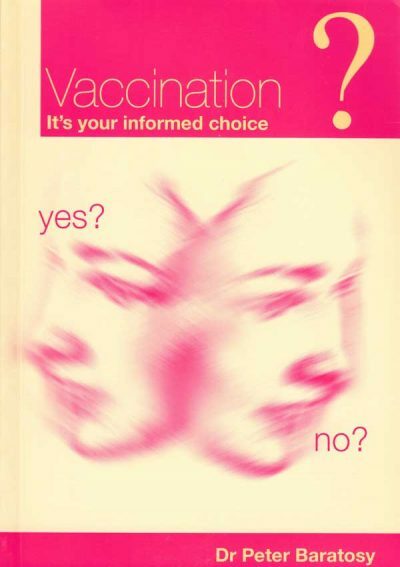 The first edition of this book concentrated on different treatment methods. 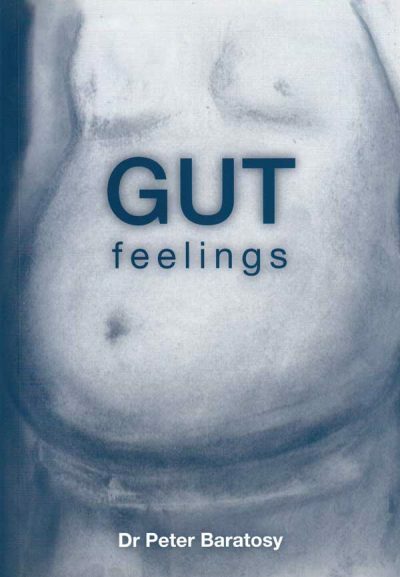 My subsequent books have all been on specific themes or conditions, such as Vaccinations, Thyroid diseases and Gastro-intestinal disorders. I hope that this enlarged and expanded edition will inspire and enlighten the readers just as much, if not more, than did the first edition.